As you can see, this manicure is all about the roses. I'm a big fan of roses, especially on the nail and since I've done a lot of red rose manicures in the past, I decided to try something different. I started with a base of p2 Color Victim 920 Up in the air!, a beautiful periwinkle with tiny silver shimmer that isn't visible in pictures. It's a beautiful color with a great formula, even though the brush isn't that great. I stamped an image from plate 21 from the Tourist Collection from MoYou London. The polish I used was China Glaze Queen B, a shade that has become one of my favorites in the last weeks. I wore it as a full manicure and I'm now wearing it as a pedicure, so I decided to use it for stamping as well because it's opaque in one coat. It did stamp very well but I didn't clean my plate properly between nails so some of them didn't turn out that great. I still loved the result. Sometimes all you need is a simple blue manicure to brighten your day. I will surely use this image again because it's gorgeous! Don't forget to check out the rest of the Monday Blues of this month by clicking the links below. This is so pretty and delicate. 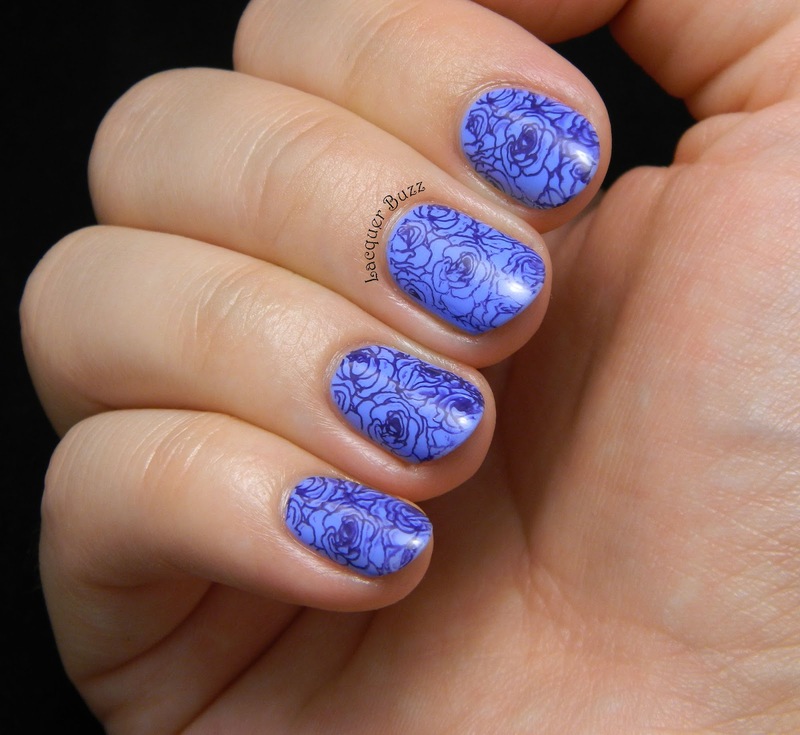 That's really a great stamping image! 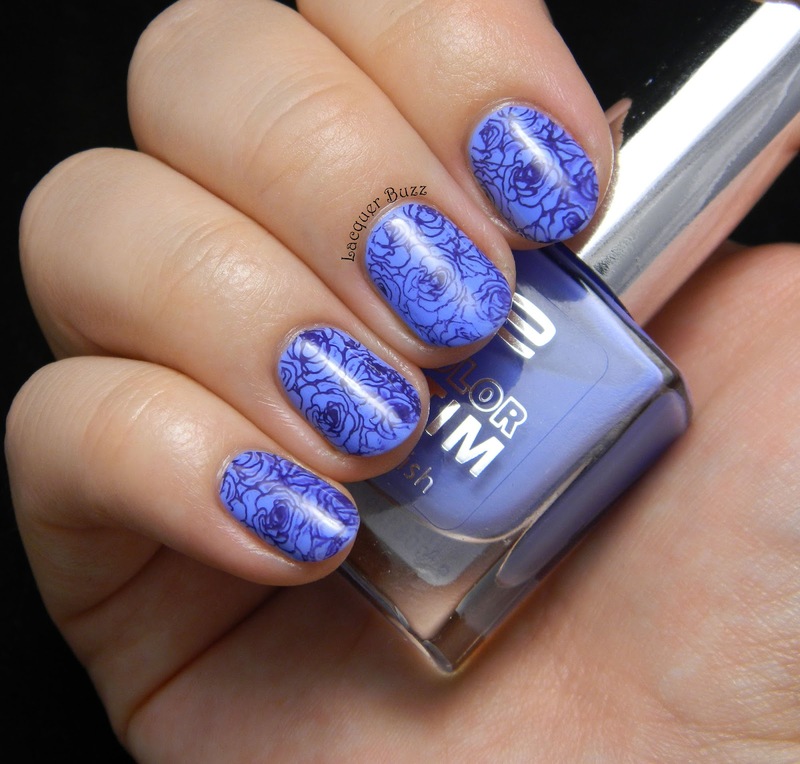 Love the blue on blue stamping! The roses look awesome. 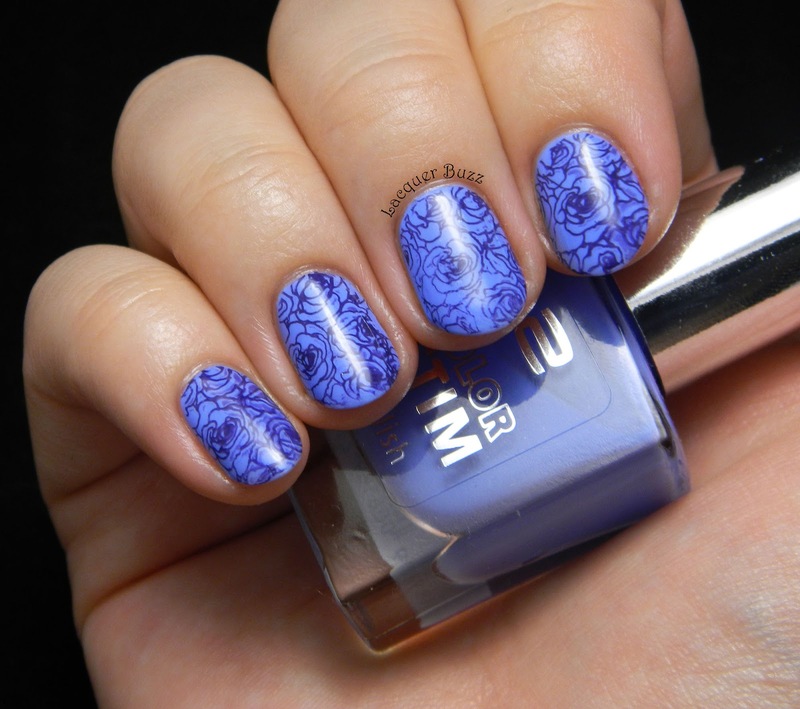 Lovely stamping! It looks wonderful on your hands. Love the two-tone nail art look! Beautiful image, and you've stamped it perfectly. Gorgeous! Nu inteleg de ce te plangi de stampilat? Arata minunat! Iar albastrul de la p2 e de-a dreptul divin :* Super faina idee sa faci trandafirii albastri ! Multumesc mult! Esti tare draguta. Thank you so much! It wasn't quite perfect but you are very nice to say that. Multumesc! Pe unghia din mijloc e cam stearsa imaginea si celelalte au niste pete de oja pe alocuri. N-am fost deloc multumita cand le-am facut. Dupa aia m-am mai obisnuit.